Pegasus Technologies, Inc. has partnered with BlueTracs, formerly ETS, to bring to international markets the most widely used and successful cash tracking system in the world, the TracPac Stolen Cash Tracking System. Pegasus Technologies is currently seeking partners around the globe to install, maintain, operate, and market the TracPac solution within their respective territories. What is the TracPac System? The TracPac system was originally designed to protect cash in the banking industry but has found widespread use in other businesses where large amounts of cash and other high-value merchandise is on hand and at risk of theft. The TracPac System is a complete stolen cash tracking solution consisting of miniature hidden tracking devices, called TracPacs, Area Alert Monitors, and Mobile and Hand-Held tracking receivers, all working together to safeguard financial assets and to capture criminals fast. At the heart of the TracPac System is the TracPac tracking device. The TracPac is the ONLY cash tracking device that can be completely hidden between just two bills of currency. It is flexible and can even be folded in half. The hidden TracPac is inserted into a larger stack of cash within a cash drawer or safe. Upon the theft of the cash, the TracPac automatically activates and begins transmitting its tracking signal. This signal is immediately picked up by a network of Area Alert Monitors that then automatically notify monitoring personnel. 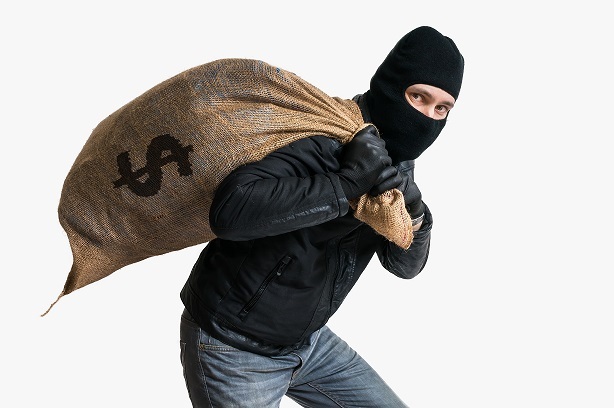 The police or a specialized tracking team is immediately dispatched and can then quickly track, locate, and apprehend the thieves and recover the stolen cash. While the TracPac system can be used in small-scale deployments, for example to target a specific series of thefts, or to track a sack of ransom money, the business model works best when the system is deployed on a city-wide basis. Once a city is covered with anywhere from 2 to 20 Alert Monitors, depending on its size, topography and building density, then all financial institutions and other high-risk businesses within that coverage area may be brought onboard and protected with the TracPac solution. TracPacs are generally leased on a monthly or yearly basis and require very little maintenance once installed. Typically an annual inspection and battery test is all that is required. The TracPac system has been in operation in the USA for over 20 years and has proven to be a very successful business. Pegasus is currently seeking international distribution and service partners around the world for the TracPac Stolen Cash Tracking System. If you would like to receive more information about the TracPac solution including technical details, pricing information, and business model guidance, please contact us. What is the core technology of the TracPac System? The TracPac system is built around the TracPac radio frequency (RF) tracking device. This device does not use GPS or cellular technology and instead relies on its own proprietary network of Area Monitors and Tracking Receivers. Why doesn’t the TracPac use GPS and cellular technology? The TracPac device is primarily designed to protect cash in the event of an armed robbery. 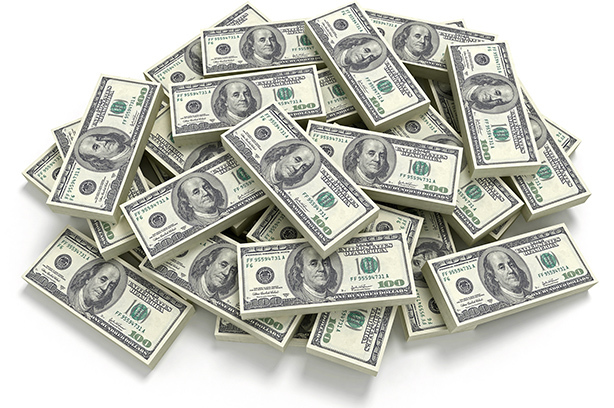 In order to ensure success, the device must be extremely difficult for a thief to detect within a small stack of cash. The TracPac can hide between just two bills of currency and is impossible to detect visually. GPS tracking devices and their required batteries are simply too large and bulky to consistently remain undetected within this difficult operational environment. In addition, RF has the ability to lead the police directly to the location of the stolen cash, down to the last foot, even if hidden inside a large building, in a parking garage full of cars, a large apartment complex, or anywhere a thief can hide. Where is Pegasus Technologies looking for partners? Pegasus is looking for partners who are preferably already established in the security or vehicle tracking industries and who wish to expand into this very specialized area of security services. Anywhere that theft is a problem, especially robberies and burglaries, the TracPac system can be successful both in terms of business and in terms of capturing criminals and reducing crime. What is the process for setting up the system? Our partners our responsible for obtaining a radio frequency license or other authorization for use of the TracPac radio frequency within their geographic area of operation. They then purchase the necessary tracking equipment and TracPac devices directly from Pegasus Technologies. The Area Monitors are installed on rooftop or tower sites distributed around the covered city and tracking receivers are installed into police or specialized security vehicles. A 24-hour monitoring center or other round-the-clock monitoring solution will also need to be established. The number of Alert Monitors and Tracking Receivers required will be jointly determined through local field testing and analysis of the proposed recovery plan. A small, flat city may require 2 to 5 Area Monitors while a large, densely populated city may require anywhere from 10 to 20 Area Monitors. Area Monitors installed high above the city will cover more area and require fewer receivers. Area Monitors installed closer to the ground will require more receivers but will narrow the initial search area. If the plan is for the system operator to conduct tracking operations using their own private vehicles and security teams, then it’s typical to use 5 to 10 Mobile Tracker equipped vehicles to cover a city. If the tracking receivers will be given to the police so that they can perform tracking operations, then a larger number of receivers will be needed due to the fact that the police have other responsibilities and not all trackers will always be available to respond to a TracPac activation. In the US, its not uncommon for larger police departments to have 25 to 50 trackers deployed throughout their fleet. In financial institution installations, TracPacs are generally installed in every cash drawer and in all cash storage locations including vaults. A larger bank branch may have 15 TracPacs installed. Retail stores can have TracPacs installed in cash drawers and in the safe, or just in the safe depending on their local risk. Jewelry stores will usually install TracPacs in the cash drawer, the safe, and in several high-value jewelry display items. What is the investment required to set up a TracPac system in my country? Based on the above guidelines, the TracPac system infrastructure equipment can cost anywhere from $10,000 for a small system up to over $60,000 to cover a large city. This does not include the costs for radio frequency licensing, Area Monitor site rental and other local rents, vehicles, and other business related expenses. How do I make money with the TracPac system? The TracPac devices are purchased from Pegasus Technologies for a one-time cost. You then lease the devices to your customers on a monthly or annual basis. Depending on local economic factors, the TracPacs would typically lease for around US$20 to $30 per month. Based on that estimate, the cost of the TracPac devices can be recovered with only 4 to 6 months of lease income. Overall profitability will obviously depend on how well the system is marketed and how many TracPacs are ultimately deployed within the territory. Will I have exclusive rights to market the system within my country? Upon purchase of the initial system, usually for one city, nation-wide exclusivity will be granted for a period of one-year. Additional periods of exclusivity will be granted upon expansion of the system into additional cities. After a mutually agreed upon number of city-wide systems have been installed, as long as the systems remain operational, nation-wide exclusivity will be granted and maintained. Optionally, a nation-wide five-year exclusive license may be purchased up front for a one-time cost. Pegasus has testing and demonstration kits available for immediate purchase. The kits contain a Mobile Tracking Receiver and a number of cash tracking (TracPac) and asset tracking (Motion Beacon) devices that allow testing and demonstrations for various tracking applications. Please contact us for current pricing or any additional information you may need.